At Ascent, we are on a mission to help students and families gain access to data and resources that can help them make informed decisions to more accurately determine the return on their investment and help them avoid over paying for their education. We know that students come from a variety of different backgrounds and have unique needs that call for specific solutions. There’s no one-size-fits-all approach to student loans, which is why we do our best to cater loans to your individual situation. We understand that many students may need to work to support themselves or their families while they further their education, and this can make it a challenge to stay focused on school. In this post, we’ll take a look at how student loans can enable you to prioritize your educational path and what types of financial aid may be right for your situation. We’ll also check out some questions you may ask yourself to determine which financial path is right for you. Wherever you come from and wherever you’re going, Ascent aims to provide you the assistance you need to succeed. Not every student can afford to focus on college full-time—many students may need to hold a job while they attend school. This can help cover living expenses and tuition, as well as provide valuable work experience, especially if you’re able to work in the same field that you’re studying. However, in this situation, it can be difficult to strike a balance between workplace demands and the challenges an education can bring. This is where an appropriate student loan may help relieve some of the financial burdens that working students can face. Taking out a student loan may allow you to focus on the long term, which means setting your sights on the higher earning potential that a college degree can bring. 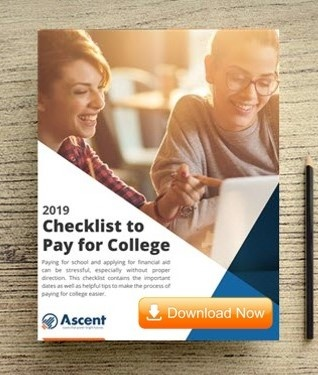 Before exploring private student loans with Ascent, it’s important to take advantage of your other financial aid options, such as grants, scholarships and federally subsidized loans. Private loans are then used to fill the gap between your other forms of financial aid and your true college expenses. They can help to cover eligible living expenses along with your tuition and book fees. After filling out your Free Application for Federal Student Aid (FAFSA) and exploring any scholarships and grants available to you through the financial aid office at your school, you can determine whether it’s time to think about a private student loan. As a student borrower, one of the main factors to consider is whether you’ll have a cosigner on your loan or not. A cosigner is someone who shares financial responsibility when it comes to paying off your student loan—they’re someone who believes in your educational success and is willing to support you on your journey. 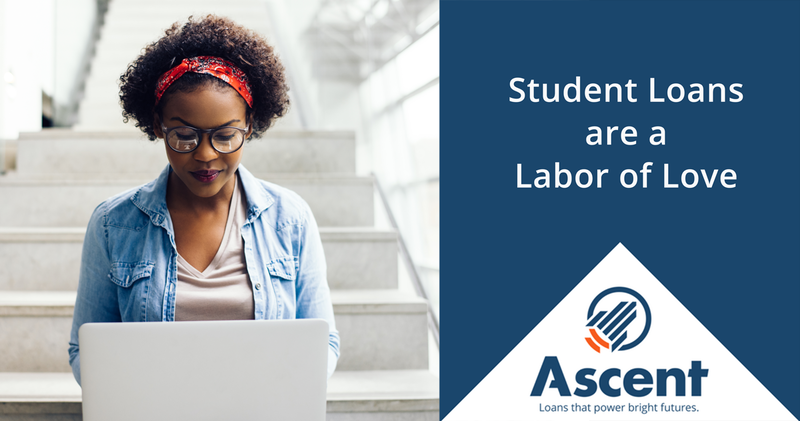 The Ascent Tuition Loan provides additional benefits for students that have a cosigner and even gives you the option of releasing your cosigner after meeting certain criteria. This means that after a period of time, you could be able to take the reins on your financial future in a way that helps you gain independence and build your credit. Will I have to hold a job while I attend school? Do I understand the fundamentals of student loans? Do I have good financial literacy skills? Could taking out a student loan help me to focus more on my studies? Would a student loan help cover my living expenses adequately? Do I have any dependents who would be affected by these decisions? Your answers to these questions can help you get a better idea on whether taking out a student loan is the right option for you. You can check out our Frequently Asked Questions to get more answers to common questions surrounding student loans.